The Cathedral of Resurrection of Christ is a monument of the Russian architecture in the spirit of romantic nationalism that dates back to the end of the 19th and the beginning of the 20th centuries. It was built on the site at which on March 1st, 1861 the member of People’s Will party, Ignacy Hryniewiecki, fatally wounded Emperor Alexander the 2nd. 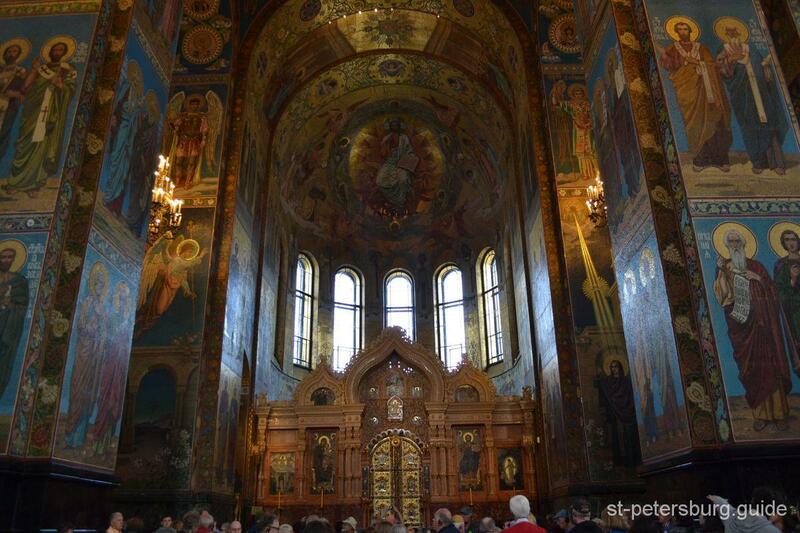 Because of this the cathedral is more often referred to as the Temple of the Savior on Spilled Blood. In the beginning of 1881, the city council called for the formation of the commission that was responsible for the perpetuation of the memory of Alexander the 2nd. The project by the architect, Alfred Parland, and the abbot of the Coastal Monastery of St. Sergius, Ignatiy Malishev, gained the most recognition. Its coauthors had also addressed the main demands of Emperor Alexander the 3rd, which dictated that the cathedral’s architectural style had to resemble the 16th or 17th-century Yaroslavl and Moscow churches and the construction of an elaborate shrine, in the form of ciborium, at the place of the fatal wounding. The main and the central part of the 9-dome cathedral elevates to the height of 81 meters (266 feet), on the western side the main body of the church is joined by a massive tower, while on the southern and northern sides of this tower are decorated by 4 porches that also serve as entrances. From the cap to the ledge the bell tower is decorated with 134 heraldic images that used to represent the administrative regions (counties, districts, etc) of the Russian Empire. Their residents donated 580 thousand Rub. 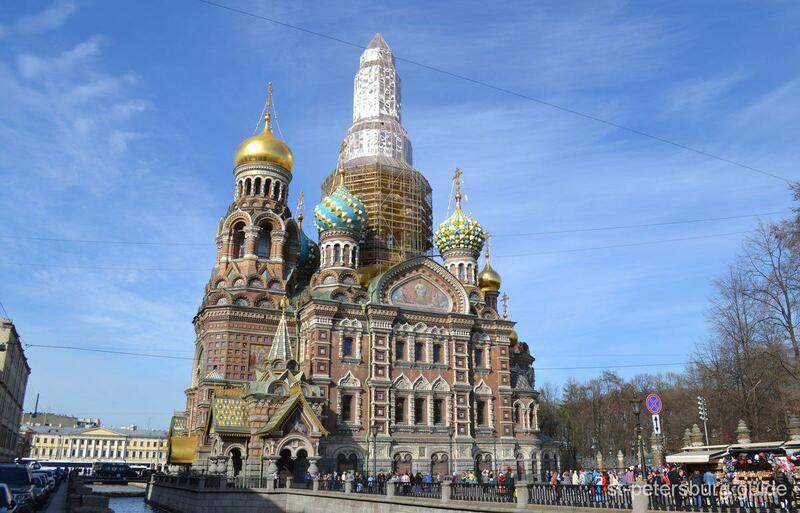 for the construction of the cathedral, while the Royal family invested 1 million Rub. In total, the 24-year long construction cost 4,6 million Rub. The 9 domes of the cathedral are onion-shaped; five of them were coated with the vitreous enamel totaling 5,000 square meters (53,820 square feet). Such extensive usage of the enamel was unique to the Russian architecture. 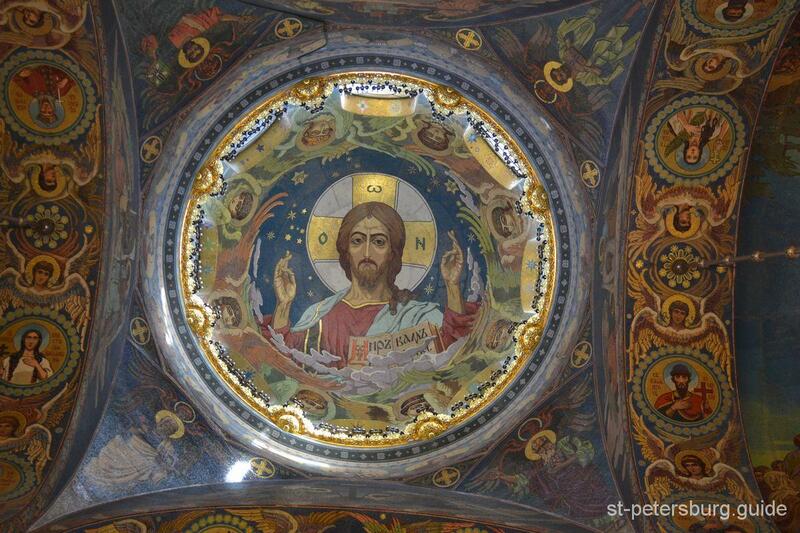 The most important and unique feature in the decoration of the Church of the Savior on Blood is the utilization of mosaic images and compositions. Their whole area totals over 7,000 square meters (75,347 square feet), which is one of the largest collections of monumental mosaics in Europe. They are also first to attract the attention of anyone who enters the Temple of the Savior on Blood. 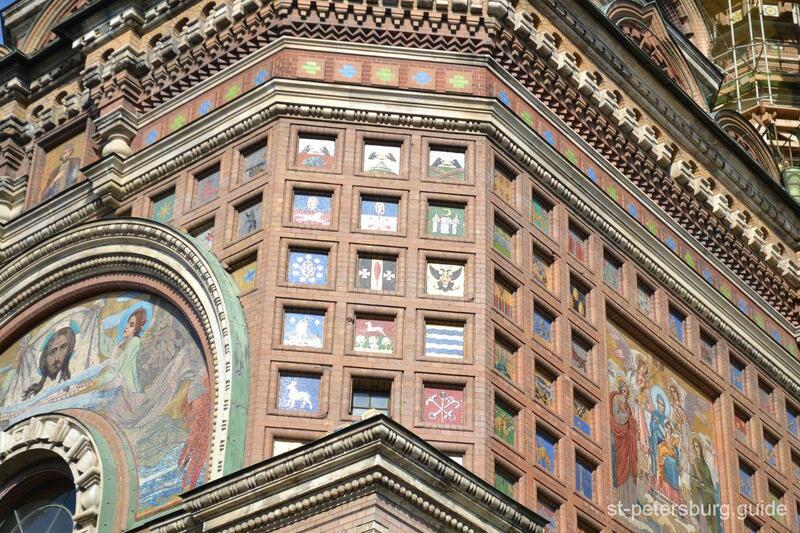 The surfaces of all the walls, pylons, arches, vaults and lamps are decorated with mosaics. A whole ream of Russian painters of the end of the 19th and the beginning of the 20th centuries created their sketches, to be precise, over 30 artists, and most of them the alumni of the Imperial Academy of Arts. To name a few: Nesterov, Vasnetsov, Ryabushkin. Their works of art are kept and exhibited in the Russian Museum and the Tretyakov Gallery. 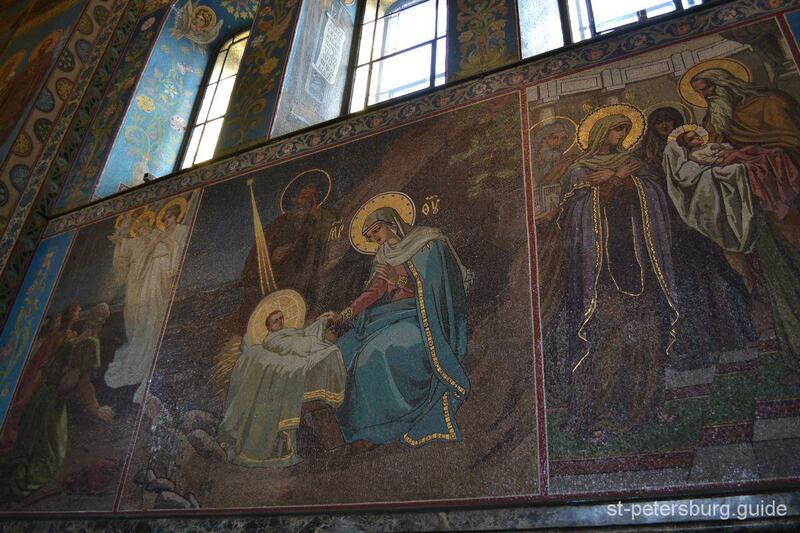 The mosaics are in harmony with the colorful-decorative stone decor of the cathedral. Up on entry, the visitor steps onto refined, multicolor floor made of 45 rug mosaics from Italian marble. Not a single time its geometric pattern is repeated. Marvelous templates of the Russian and Italian stone carving art are represented by the iconostasis of the church, its icon cases and the ciborium over the place where the Tsar was fatally wounded. These carvings were made from the Italian marble, Ural and Altay jasper, porphyry, and rhodonite.